The producer of the Born In the USA tribute tells us about bringing together the likes of Jason Isbell and Justin Townes Earle to salute the Boss. By Evan Schlansky, co-executive producer of Dead Man’s Town: A Tribute to Born in the U.S.A., out now on Lighting Rod Records. In case you didn’t notice, we feel pretty OK about the Boss, who just announced the upcoming release of Bruce Springsteen: The Album Collection Vol. 1 1973-1984 which will feature remastered version of the singer’s first seven albums. Dead Man’s Town is a new record that pays tribute to Bruce Springsteen’s 1984 blockbuster album Born In The USA, the one that defined his career. 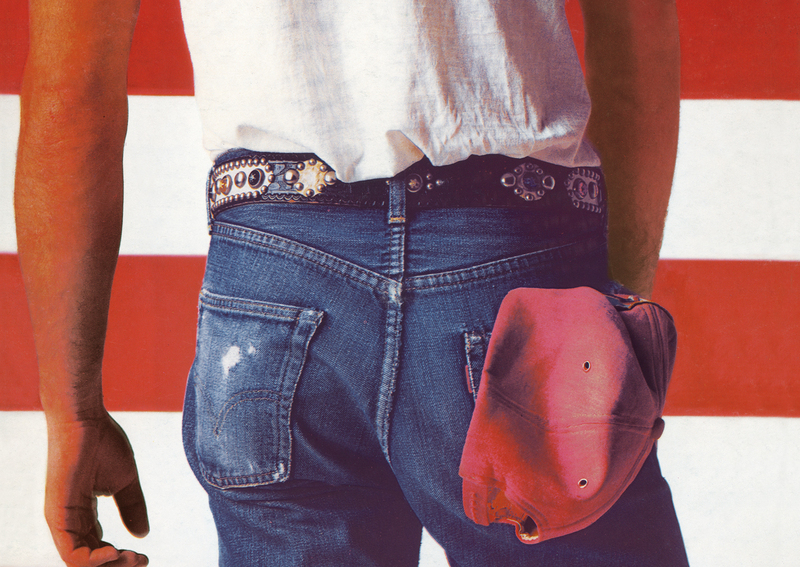 It’s got Americana artists likeBruce Springsteen: The Album Collection Vol. 1 1973-1984 , and Holly Williams, rockers like Low, Blitzen Trapper and North Mississippi Allstars, and singer-songwriters like Joe Pug and Ryan Culwell. It sprung from an idea I had late one night when I realized the original album was about to turn thirty, and wouldn’t it be cool to hear some modern artists take on these well-worn classics. I was nine years old when Born In The USA first came out. I used to hear all the singles (“Cover Me,” “Dancing In The Dark,” “My Hometown”) on the bus ride to school, or at home on MTV. I quickly grew tired of them. I liked George Michael and Bryan Adams and Genesis and Huey Lewis—whatever my sister was listening to. But Bruce was like a parody to me, and he was everywhere for a while, inescapable. We laughed at his strained voice, bulging muscles and the way he was always shouting “1,2,3,4!” My Dad owned the cassette. It was “Dad rock” to me. A few years later, my friend Matt and I started getting into Bon Jovi, which is like Bruce Springsteen for adolescents — all the themes are the same. We listened to hair metal bands, Billy Joel and classic rock and Guns N’ Roses. I used to go over to Matt’s house all the time and listen to records and talk about girls. Music became a much bigger part of my life, and there was always somebody new to uncover. Getting to know classic albums by say, The Beatles, or Bob Dylan, was an amazing experience you only get to live through once. Then one day I decided to listen to a mix tape my dad had made for himself, which was stashed away in a drawer in his desk. (There was probably a John Cougar Mellencamp song on there I wanted to hear.) And on that mix tape was “Thunder Road” and “Born To Run,” two of the greatest songs ever committed to tape. That was like the holy grail right there. I’d never been affected by music like that before or ever since. I had to share my discovery. I remember sheepishly saying to Matt one day, “you know, I think Bruce Springsteen is actually not that bad.” “Yeah, I know,” he replied, “I kind of like some of it. I just haven’t mentioned it yet.” I was shocked and relieved. We listened to those two songs, and Bruce Springsteen became the foundation of our friendship. After that we were hiding on the backstreets — no retreat, baby, no surrender. Bruce became our religion. And not in that collector way, that adult way where you’ve seen 65 shows and own 100 bootlegs. Not that that isn’t admirable in it’s own right. But in that original way, where music hits you so hard, because it’s the soundtrack to your first love, your first cigarette, your first drive, and it defines what you want to do with the rest of your life. We both got guitars and taught ourselves to play using a book of Springsteen songs. It was called Bruce Springsteen Complete – which at that point, stretched form Asbury Park to Born In The USA (plus a number of strange B-sides I’d never heard of which would one day end up on Tracks). It had charts at the top of each page that showed you where to put your fingers. Once I mastered the G, D, C and Em chords that make up “I’m On Fire,” I started writing my own songs. I’ve always had a thing for great covers. One of the things I love about Dead Man’s Town is how all the artists take the songs to new places. When it comes to arrangements, nobody did the obvious thing. And many added parts that weren’t there before. There’s some beautiful, mournful piano lines running through Nicole Atkins’ spooky, electro take on “Dancing In The Dark.” Blitzen Trapper turn “Working On The Highway” into a slide guitar-drenched one-chord blues that just sounds like a highway. And Jason Isbell and Amanda Shires’ version of the title track uses completely different chords. Now it’s in a minor key and the lyrics fit the melody better. It’s haunting, like Nebraska is haunting. The first music I heard when the album was coming together was Isbell and Shires’ take on “Born In The USA.” I was hooked from the opening notes. After I heard the first verse, I thought, if we accomplish nothing more than this cover, we can be proud. I also love that there’s violin, because that’s been a weapon in Springsteen’s arsenal from his earliest days, when Suki Lahav was in the band. Aad Shire’s playing is so spellbinding. Just like Jason Isbell nails the sadness in “Born In The USA,” Justin Townes Earle nails the sadness and hard choices in “Glory Days.” He’s a great, great songwriter who’s the son of a great, great songwriter, and one who’s more famous (that’d be Steve Earle), and he’s a guy who’s lived through a lot, a lot of addiction and a lot of redemption. He’s someone who probably does sit around thinking about getting old, because he’s a songwriter, he’s a deep guy. I like when his voice cracks as he sings the third verse. 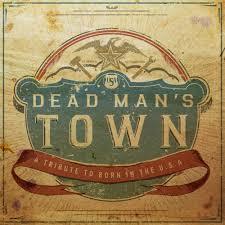 I love all the tracks on Dead Man’s Town. It hangs together really well, it’s sequenced perfectly, and it takes you on a journey that feels both new an familiar. I hope you enjoy listening to it as much as I do. Now who wants to help me remake Tunnel of Love?